Namaqua Wines, South Africa's second largest winery, recently expanded their production capacity to more than 1 million hl/year through continuous juice extraction with Foodec decanters. The need to to drive down costs and maintain the required quality standards led to the largest decanter installation in South Africa – comprising four Alfa Laval Foodec decanters with a combined capacity of 60 tonnes of freshly harvested wine grapes per hour. Increased juice recovery, shorter processing cycles and a less labour-intensive system were some of the expected advantages of installing the Foodec decanters for continuous grape juice extraction, replacing traditional separation, pressing and settling. But at Namaqua Wines, a multitude of other benefits such as better taste and less environmental impact have revolutionised winemaking at this large-scale operation. “We had to increase our white wine production capacity by 10,000 tonnes, which is much more than the average total production of most South African wineries!” comments Len Knoetze, Production Manager. The first decision to be made was whether they wanted to expand by replicating existing processing systems, which comprise pneumatic wine presses and settling tanks. The lucrative alternative was a continuous decanter system, which potentially had revolutionary capabilities, but also involved risk, since no one at Namaqua had experience of this new technology. Decanters separate solids from liquid phases in a single continuous process, using centrifugal forces. When subjected to such forces, the denser solid particles shift outwards against the rotating bowl wall and the liquid phase forms a concentric inner layer. Processing grape mash, the skins and the seeds are quickly dried and separated while the must is clarified and can be directly sent to the fermentation tanks. Other sub-products can also be processed, such as tank bottoms, in order to recover high value products. Winemaker Reinier van Greunen says that experiencing the working of decanters during this trip confirmed what the brochures had promised, but also opened his mind to the specific applications that these machines could have back on home soil. “An innovative approach has always been part of the culture at Namaqua, which is probably why we are drawn to most new technologies,” explains the young winemaker. Some of the obvious advantages of using decanters came to the fore immediately. Substituting static pneumatic pressing, and particularly juice settling, with one continuous process reduced the processing time from when the grapes enter the cellar door to when the juice is settled in tanks by as much as 24 hours. Similarly, because one continuous process replaces three different conventional steps – free flow separation, pressing and settling – the new system was far less labour intensive and also required less space. 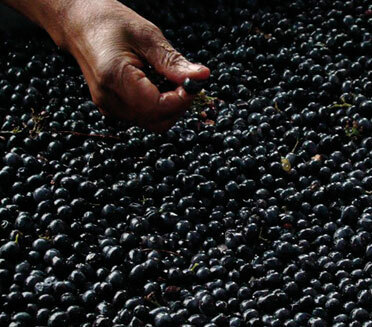 In addition to the increased quality, the quantity of juice recovered from the grapes also increased by as much as 20%, depending on the varietal and origin of the bunches. Another plus is that compared to a conventional system, comprising pneumatic presses and settling tanks, the decanter requires less water, while it also uses less energy. Reinier was pleasantly surprised by the system’s robust functioning. “There are only a few moving parts that could require attention and some basic training is sufficient to perform day-to-day maintenance. 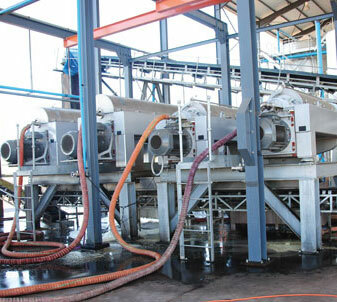 The system has now done two vintages, processing almost 35,000 tonnes of grapes in total. During this time, I only needed external assistance once – and that particular problem was also resolved by Alfa Laval’s local service team in two hours,” says Reinier.